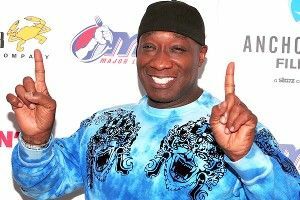 Michael Clarke Duncan, best known for his Academy Award–nominated role in The Green Mile, died Monday. According to a statement released by a representative of his family, Duncan “suffered a myocardial infarction on July 13 and never fully recovered”; he passed away in the same Los Angeles hospital where he had been since the incident. As CNN reports, “In his 20s, he worked digging ditches for Peoples Gas during the day and as a bouncer at night … his coworkers at the gas company called him ‘Hollywood’ because he’d often talk about becoming a movie star. ‘I’d be digging a ditch and they’d say, ‘Hey, man, Bruce Willis wants to talk to you about a movie.’ And they’d just crack up laughing. '” Things ended up working out in his favor: Along with such movies as the Planet of the Apes reboot, Daredevil, and The Scorpion King, Duncan actually did co-star with Willis in Sin City, Armageddon, and The Whole Nine Yards. Remembering Duncan, Tom Hanks said, “He was the treasure we all discovered on the set of ‘The Green Mile.’ He was magic.” Added Green Mile director Frank Darabont, “Michael was the gentlest of souls — an exemplar of decency, integrity, and kindness.” Duncan was 54 years old.